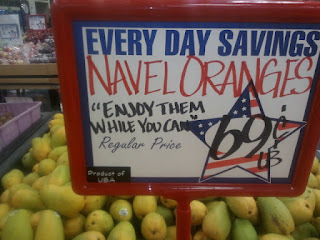 The “Blog” of “Unnecessary” Quotation Marks: "while you can"
Uh, that and the fruit pictured seems to be pears. @nolajazz, apparently they were selling fast and have now been replaced. Shoulda changed the sign though.